Beautiful color combination it has, this is made in pure natural material. The primary colors are ivory and blue with tiny motifs. It contains a "bed of flowers" like pattern. This rug is a highly durable carpet, skillfully crafted by our weavers. 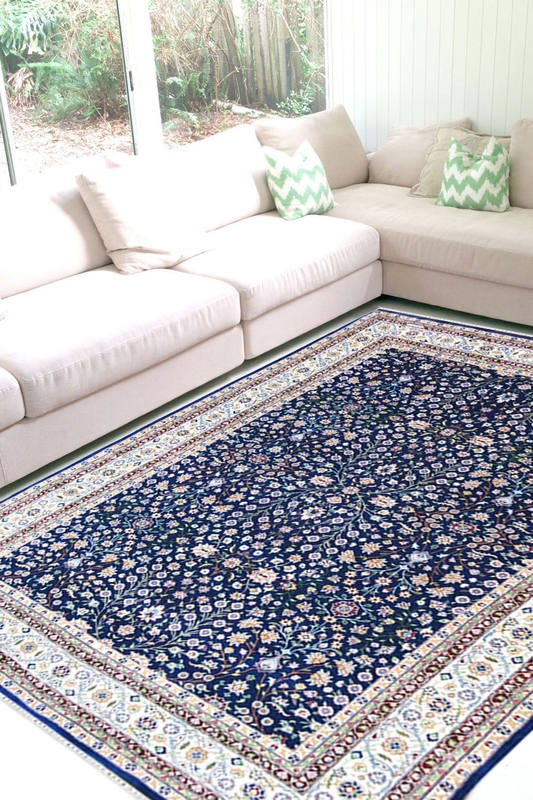 Pictorial Blue handmade rug includes attention to detail and shall only amplify the look of a space. Pure New Zealand wool yarn is hand-sorted, ensuring that yarn is uniformly soft and durable. Our unique process of hand-spinning is completed using 100% wool and cotton material. The overall process creates an aged look, with a feel that is at once warm, fresh, and long-lasting. The luxury and feeling of this carpet, together with its exquisite array of lavish colors, is immediately blended with any type of furniture.